Enugu Police Command has arrested a native doctor, Akor, who allegedly paid N200,000 to another man, Idoko of Ifuroka Amala in Udenu Local Government Area, of the state, to kill one Onyemaechi Eze on July 5. It was gathered that the native doctor paid the suspect N200,000 to kill the victim. The suspect, it was gathered, after committing the murder in his community, fled to an unknown destination, but was later arrested on September 16, at Inyi in Igbo-Eze North Local Government Area, where he was hiding. 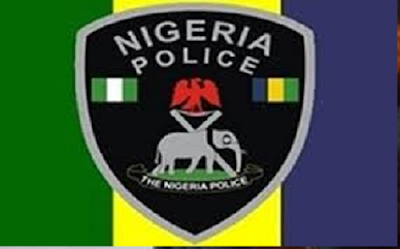 According to a statement by Police Public Relation Officer, PPRO, Ebere Amaraizu, “a suspect, Idoko of Ifuroka Amalla Udenu Local Government Area, Enugu State, has been nabbed by the operatives of the Udenu Division of the Nigeria Police Force in partnership with the members of the public. “The suspect, who fled after committing the alleged offence, was nabbed on September 16 at Inyi in Igboeze North Local Government Area, Enugu State, through a well-coordinated operation borne out of intelligence information. “It could be recalled that the suspect, alongside others, had allegedly murdered one Onyemaechi Eze on July 5 over a yet to be established issue and escaped to avoid being nabbed. “The suspect is helping the Police in their investigations as he has given insight on how he and his gang collected N200,000 from a native doctor, Akor, who he alleged to have hired them to murder Onyemachi Eze.